Craftsman 950845 18 oz. 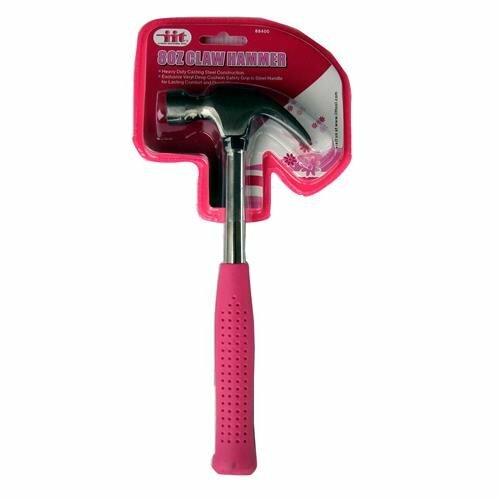 Flex claw hammer whether you need to hang a picture frame or are trying to pry out an old nail, this 18 oz. Flex claw hammer delivers versatility and power to the palm of your hand. 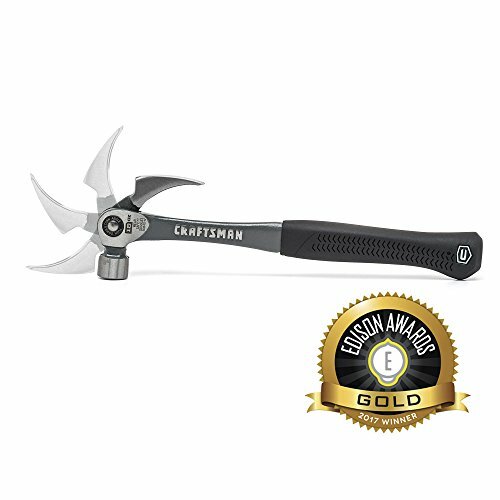 This Combo flex claw features 2 great tools in 1 with both an 18 oz. 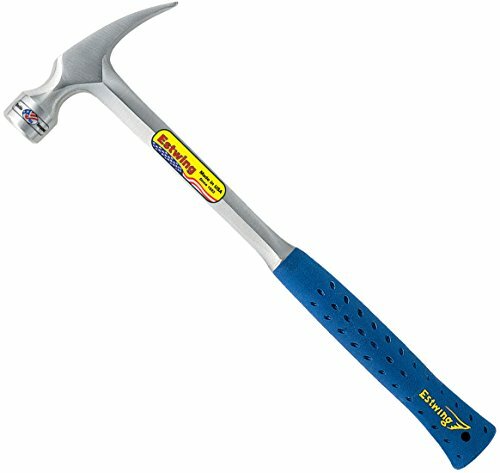 Hammer and an adjustable pry bar. The claw has 4 different locking positions, so you can customize your leverage depending on the job at hand. Estwing's Solid Steel Framing Hammer's feature a longer handle and larger face resulting in more striking power and increase leverage for pulling and prying nails or boards. The head and handle are forged in one piece for maximum durability and hand polished to a beautiful finish. 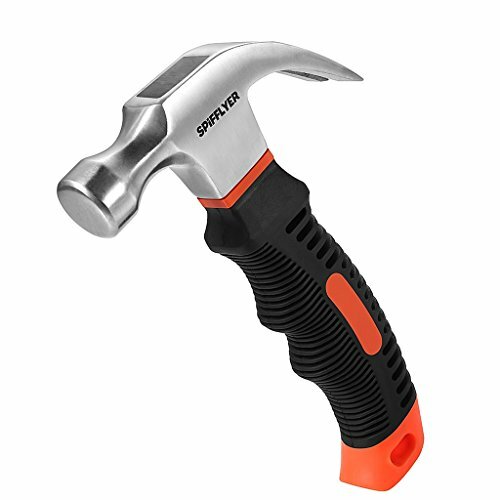 This hammer features our patented Shock Reduction Grip the most comfortable, durable grip on the market. The Shock Reduction Grip reduces impact vibration by over 70%. It is molded and bonded directly to the tools steel core, meaning it will never slip, even under the harshest conditions. Estwing striking tools are proudly made in Rockford, IL. Heavy duty casting steel construction exclusive vinyl deep cushion safety grip is steel handle for lasting comfort and durability. Heavy duty cast steel construction. Bright pink handle so its easy to identify your tools. on the market, you can't loose with our product guarantee! A must have addition to any tool box. 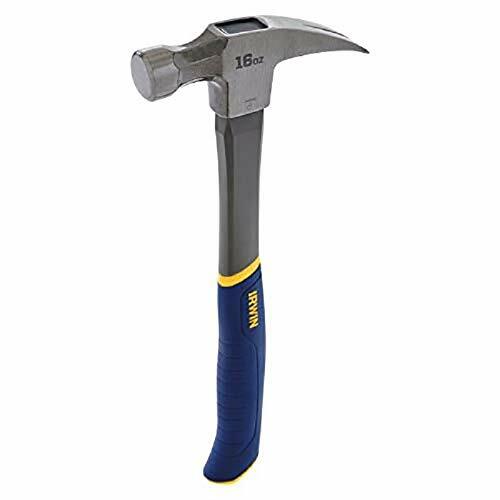 The STANLEY STHT51246 20oz 1pc Steel Hammer is an excellent heavy duty hammer, constructed of 1-piece forged high-carbon steel for strength and durability. It has a high visibility comfort grip that features a ribbed surface and flared end that helps to reduce slipping. The exclusive rim temper helps reduce incidences of chipping and spalling, and is also precision balanced for efficient nail driving. 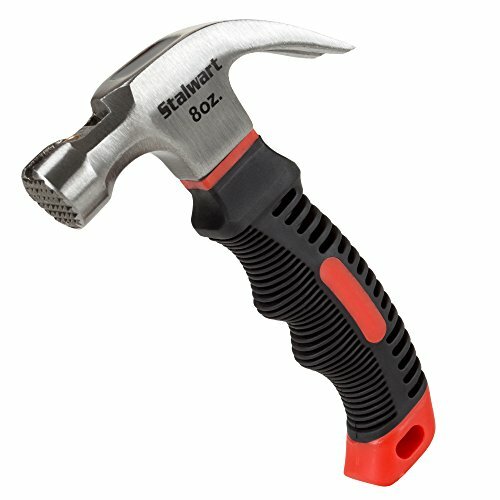 "Made from durable, lightweight, metal construction, this Stalwart Stubby Claw 8 Ounce Hammer gives you the precision and control you need for a wide range of jobs! The high-strength fiberglass handle includes a comfortable cushion grip for added accuracy and helps to absorb shock, while the curved claw helps provide needed leverage for removing nails. 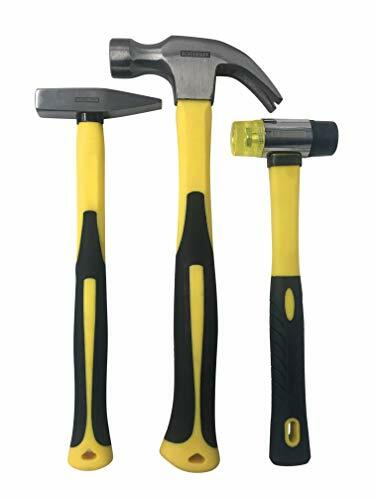 The ideal compact tool for small jobs, house repair, home improvement, do-it-yourself projects, minor maintenance, this is an essential addition to your home tool kit collection. IMPORTANT: Avoid buying counterfeit products and transacting with unauthorized sellers. Look for our logo on the packaging for every one of our products. Stalwart is committed to providing the consumer with the absolute best price and value on our entire line of products, which we ensure by applying a rigorous Quality Control process." 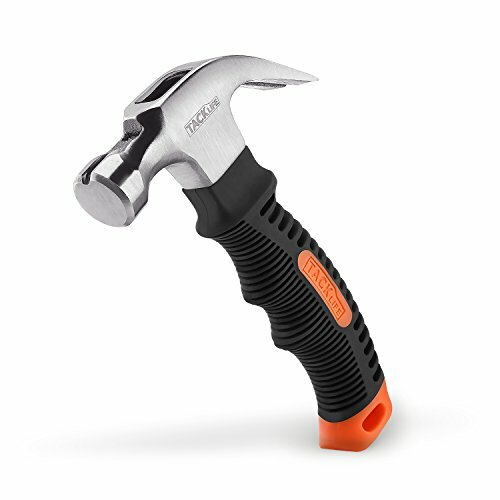 DURABLE- The Stalwart Fiberglass Hammer is built to last. 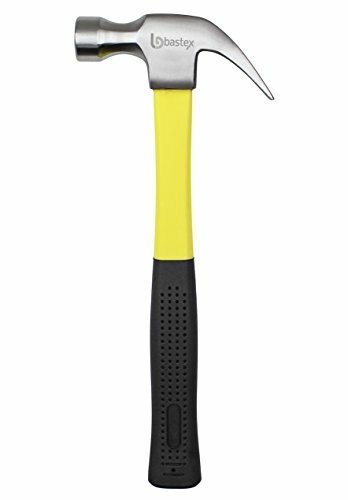 Made with a high-strength fiberglass handle and high carbon steel, this tool will help you get the job done with ease and ultimate precision. 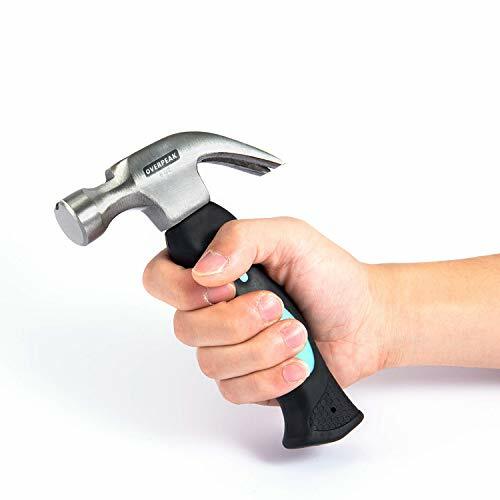 ESSENTIAL MULTIFUNCTIONAL TOOL- With the comfort grip handle and curved claw design, this hammer is a great compact and easy to use tool for minor maintenances, building, woodwork, home repair, extracting or removing nails, hanging household items and home DIY projects. With the wide range of functions, this is an ideal tool for your home improvement needs and a perfect addition to any tool set! COMFORT GRIP HANDLE- The cushion grip on the handle provides a soft barrier for tackling tough jobs. Easily clasp the handle for comfortable control, accuracy, and shock absorption while you work! 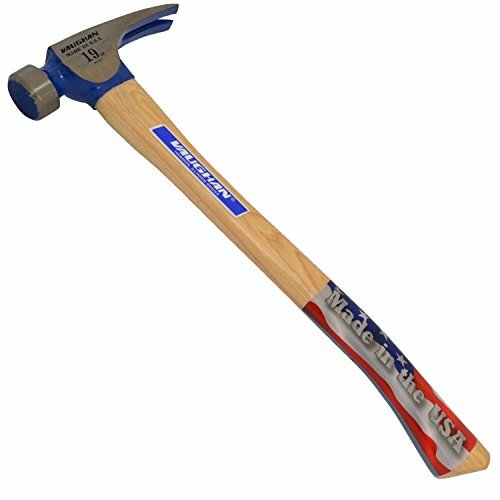 Stiletto finishing hammer, straight claw, 10 oz head, 14-1/2 in overall length, milled face, 1-1/4 in face diameter, titanium head, curved Axe handle, hickory handle, Brown/tan handle. 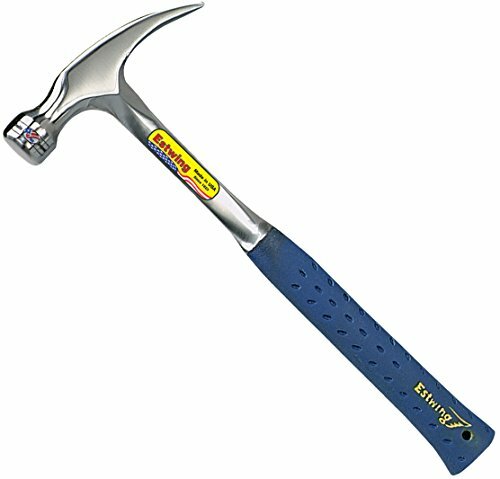 Edward Tools Oak Claw Hammer 16 oz is heavy duty all purpose claw hammer for nailing removing nails or pounding. The solid oak handle is contoured for anti vibration while the wood better absorbs nailing than plastic handles. 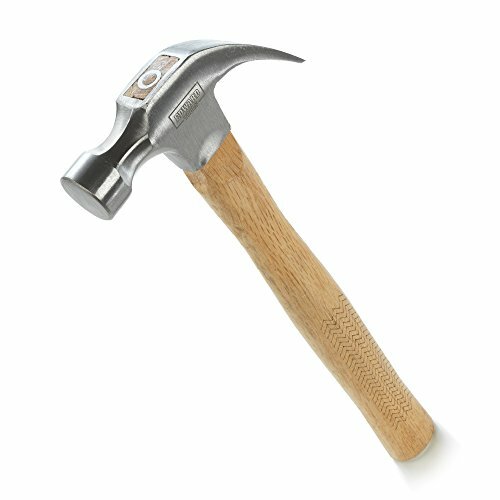 Etched wood handle design makes more greater grip than standard wood handle hammers. Made of forged carbon steel the head is more durable. 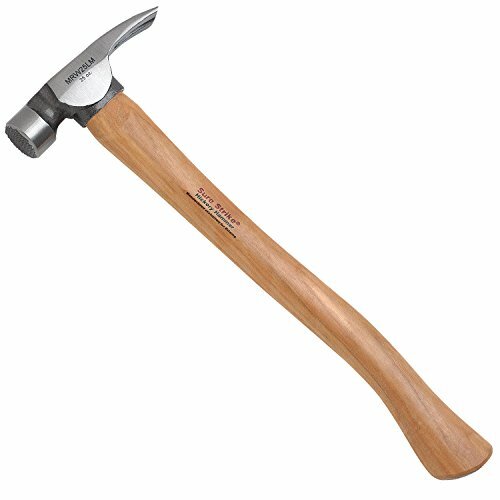 Edward Tools Oak Claw Hammer 16 oz comes with a lifetime warranty and we will replace it if for any reason this claw hammer breaks.